The 2017 American Golf Long Drive Championships had it all: Surprises, upsets, new talents, brilliant battles and record drives. 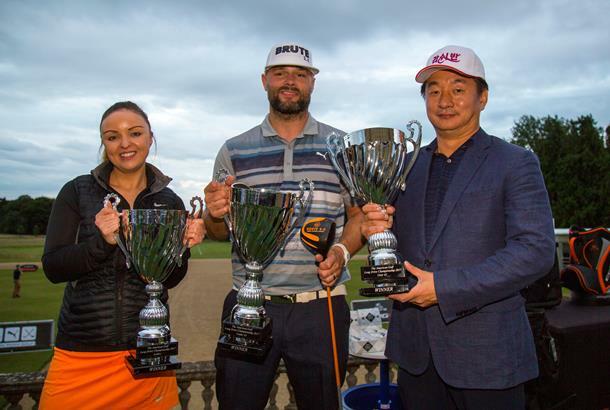 With all three of the defending champions being knocked out, three new champions were crowned at the beautiful setting of Heythrop Park - and will make their way to Oklahoma for the World Championships next month. As Daniel Gathercole, Director of Marketing and Communications at American Golf remarks, this year’s event has been phenomenal and promises some exciting finishes when the winners take their places at the Volvik World Long Drive Championships in a few weeks time, “This event keeps getting better but I don’t think anyone expected what we’ve seen here today. We started the American Golf Long Drive Championships 3 years ago to encourage more people to get out hitting balls and having some fun." 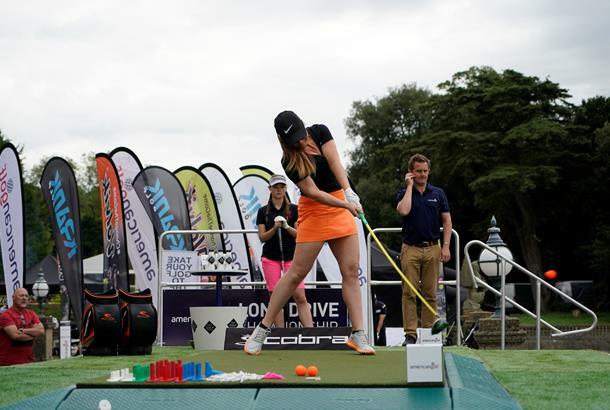 "This year we’ve had over 5000 people take part and this really has become the premier long drive event in Europe. It’s such a competitive environment but every player has shown fantastic sportsmanship and support for each other. I’m very proud of what American Golf has achieved with this Championship and hope to go even bigger with it next year." One of the biggest stories of the day came in the Under-45 category, as although Max Armstrong set the early pace with a 454 yard monster, it was Dan Konyk utlimately won back his title from 2016 American Golf Long Drive Champion Lucas Dornan - Although it wasn't before a tense quarter final battle between the pair. Both men had seeded with 420 yards and it took a sudden death and several 'not fit for TV' remarks' to eventually separate the pair before Konyk progressed, before meeting Timo Petrasch 'The German Bomber' in the finals. Timo couldn’t quite replicate his 400 yard + form in the final as he hit some enormous drives but unfortunately couldn’t keep them in the grid. This left the experienced Konyk to take the title with a drive of 401 yards in his final set. In the Ladies event, competition was just as fierce. In seeding, newly crowned champion Ilona Stubley hit the longest drive ever recorded in an American Golf Championship with a 338 yard monster. She was closely followed by 14-year-old prodigy Elle Gibson, who herself managed a huge 326 yards - setting up a rivalry that would last all day. Qualification was strong, with ladies needing drives over 275 yards to make it in to the last eight - but it was the quarter finals where yet again the shocks occurred as defending champion Rebecca McGinley was disposed of by Becki O'Grady. But Ilona Stubley was both a deserved winner and model of consistency all day - despite it being her first ever long drive event. The 33yr old Glaswegian kept pace with Barnet youngster Elle, with both players taking a set each in the final with drives of 300 yards before Stubley's final ball of 307 won her the spot at the World Championships. "All day Elle was hitting great, so I knew the final would be tough. In the third set, I was pleased that I was hitting second as I prefer to chase down a score and knowing what I have to do to win," Stubley said. In the Over 45 Championship the matches were just as intense. The Senior Championships saw its first ever 400+ yard total when William Hunt Tyrell marked his return from retirement with 413 yards in the first round. As with the other categories, the Seniors stepped up to the mark, with 2016 champion Anton Reader only just creeping into the quarter finals with 363 yards – enough to win the 2016 World Championships by 16 yards! 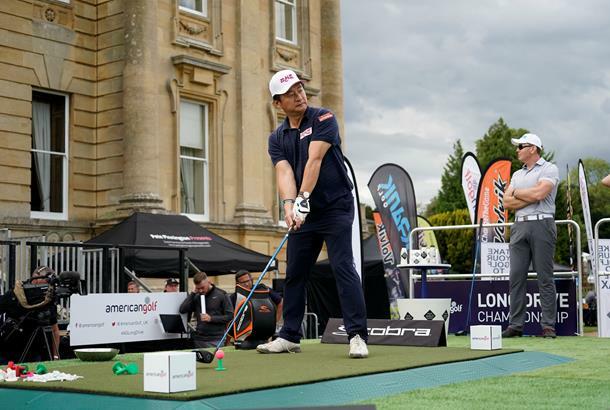 Early pace setter William Hunt-Tyrell couldn’t maintain his early form, being knocked out in the semi-finals by Charles Seo, the popular Londoner who has featured in all of the American Golf Long Drive events to date. On the other side of the draw 2016 losing finalist David Willmore was making light work of the opposition, setting up a final showdown between two previous runners up. The final itself went down to nerve as Charles put his consistency to good use while David couldn’t quite get his longest hits in play. Charles puts his success this year down to a new training routine, “I’ve been playing golf for over 40 years and this really is my dream come true." "I’ve always been the longest hitter between my friends and thought I would be good at long drive, but to actually win the American Golf U.K. Championship is an amazing feeling. I’ve come so close over the last 3 years. I lost in the final in 2015 and the semi-final in 2016 so I’ve been training hard for this year."